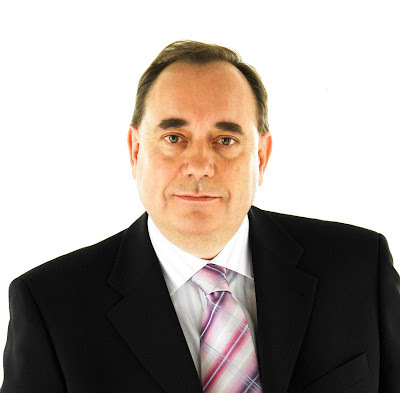 DELIVERY of affordable homes across Scotland will be accelerated, as a result of bringing forward up to £100 million of spending through the Affordable Housing Investment Programme, First Minister Alex Salmond (pictured below) announced today. The First Minister delivered the annual Donald Dewar Lecture at the Edinburgh Book Festival this evening, in which he set out a package of Scottish Government actions to strengthen the Scottish economy. In advance of the lecture, Mr Salmond published a new housing policy document responding to the changing economic climate. The announcement builds on the package of major housing system reforms announced by Deputy First Minister Nicola Sturgeon in June, which included additional support for first-time buyers, incentives for a new generation of council housing, and increased protection for home owners. * Bringing forward up to £100 million of affordable housing investment to be spent this year and next, rather than 2010-11 as originally planned. Some £60 million will be committed from national government programmes and, in line with the Concordat, the Scottish Government is discussing a further £40 million from local government. * New criteria for housing associations to purchase unsold stock or land to deliver houses where they are needed, at best cost to the public purse. * European Structural Funds: on top of the £180 million that the Scottish Government has already committed to spend from the 2007-13 Programmes, front-load a high share of the remaining funds to support high-quality projects and provide a direct stimulus to the Scottish economy. * Planning: postpone the review of the system of developer contributions in Scotland, to avoid placing new burdens on development at this time. * Tourism: new steps to ensure Scottish tourism reaps the full benefit of Homecoming 2009. * Energy: bulk purchasing of electricity to across the public sector to safeguard the public services, and make it easier for businesses to increase their energy efficiency through a range of government schemes. “The global economic downturn is affecting economies across the world, and clearly Scotland cannot be fully insulated from its effects. “But there are two reasons why the economic outlook for Scotland is positive. First, the Scottish economy continues to show encouraging signs of resilience. Second, Scotland has a Government that, despite its limited economic powers, will take decisive action to strengthen our performance and prospects. We will not simply sit back and wait for conditions to get better. “One of our highest priorities is taking action on housing in Scotland. That is why we have published the next steps for our housing policy, and why up to £100 million capital spending will be brought forward to support these efforts and help us to meet demand for affordable housing. “These actions will help more people across find new housing of the right kind, in the right numbers, in the right places. The new development on Castle Dubh Loan in Pitlochry is a great example of high quality, rented accommodation giving people homes to be proud of. This accelerated investment is made possible by a wider reallocation of capital spending, which will be delivered within the existing Scottish budget. The Affordable Housing Investment Programme is allocated mainly to RSLs (Registered Social Landlords). Approximately 70 per cent of the programme is spent on helping RSLs to meet demand for new social housing for rent, on average subsidising just over two-thirds of the construction costs of each new housing unit. First Minister Alex Salmond visited a 10-unit housing development at Castle Dubh Loan in Pitlochry this afternoon. The development is comprised of six houses and four flats (two for older people), taken forward under the Larach Initiative by six Housing Associations working together. There are currently 321 Ayrshire business stories permanently archived on this site. To locate those of most interest to you, please use the site search facility in the top left hand corner of this page. Type your search term in the white box, then click “SEARCH BLOG”.